A magical evening last night at the Corral de la Moreria in every sense. I had seen flamenco before but this was a different level, in fact a different game altogether. While we watched we tucked into an absolutely first class dinner – including certainly the finest pigeon I have ever tasted – served with incredible efficiency and dexterity by waiters cunningly crouched down low so as not to obscure the view of the show. And the wines were not only individually outstanding – just look at that lineup – but perfectly matched. If anything it was just too much: my tiny mind could not take it all in. 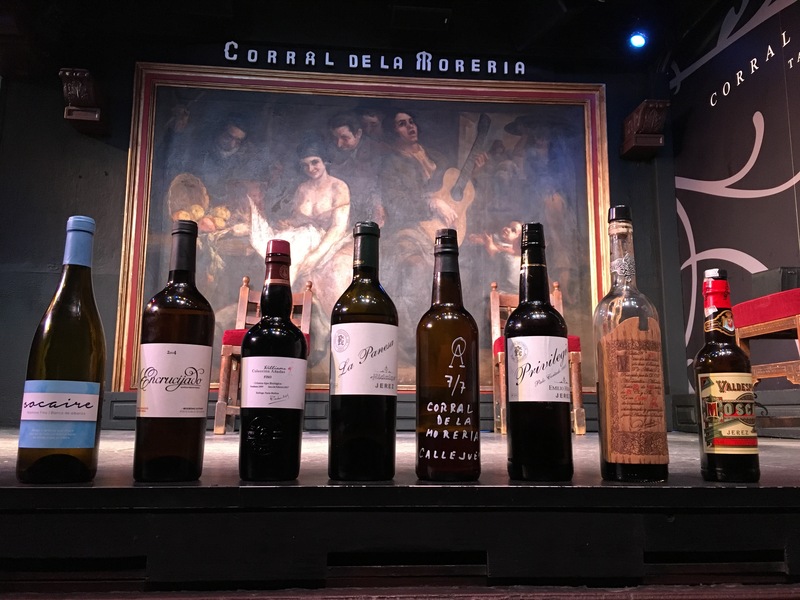 Even had I been able to follow everything that was taking place on stage and simultaneously appreciate the superb cooking, the wines were just excessive, culminating in a final three of Palo Cortado Privilegio, the 1946 Convento Don PX and the Toneles. How does a fella even begin to describe all that? An unforgettable experience. Really exceptional. Wow, nice. Indeed, half of what you describe would have been superb too!